It would be years after the political turmoil following the collapse of the Soviet Union before Russia could emerge as a potent military power, with the inheritance of a massive Soviet army counting many obsolete models, no wages, no ammunition or even gasoline to operate properly. A quarter of a century after, at the occasion of a memorable may parade on the Kremlin red square, the Armata was unveiled. Sharing only with previous MBTs its low profile silhouette, this tank, years in the making is probably one of the most daring project and possibly a forerunner of 5th generation Main Battle Tanks. Not only it counts many innovative features like a central capsule system and unmanned turret with a wide array of remote-controlled weapons, but the chassis is also conceived as a base for a whole family of tracked vehicles, including a new generation IFV (intended to replace the BMPs), and tracked APCs as well, among others. Although criticized for costs overruns, its the most striking symbol of the Russian Ground Forces full recovery of its potential and a way forward. 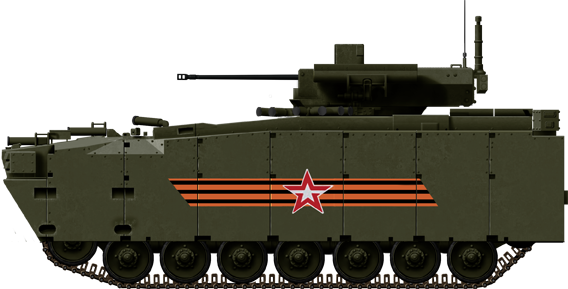 Just created with what was left of the gigantic stockpiles of Soviet AFVs, the Russian armored forces were reorganized, following the Internal crisis of 1993 -due to the constitutional change and set up of a federation. Almost a cold case of conscience emerged when Boris Elstine ordered the attack on the parliament, by a reluctant General Grachev, then at the head of the newly-formed Russian Ground Forces. The ground Forces were then rapidly involved in a series of conflicts on border states, nationalistic insurrections of minorities following the end of the Soviet Union and the lifting of its iron fist on these regions. This majority Muslim country tried to secede from the USSR already in November 1991, and declared independence, headed by General Dzhokar Dudayev. From the Kremlin, however, a hard-line was taken immediately and in December 1994 a full-scale military intervention started. Grozny, the capital was taken rapidly, but soon erupted into a long a protracted guerilla campaign, possibly backed by foreign Islamic terrorist groups. After the assassination of Dudayev, the most important insurgent group header by Aslan Maskhadov was forced to parleys by Alexander Lebed, then Secretary of the Security Council and both signed a ceasefire in August 1996. However, this first test of the new Russian Army soon showed its numerous deficiencies, notably the infamous composites regiments”. In August 1999, the ceasefire was broken when rebel militias re-took the Dagestan province. This was the start of the second Chechen war. This time, after comprehensive reforms (see later), the Army showed quite a better face in operations which were swift and decisive due to comprehensive preparatory training. Past errors were not repeated. Dagestan was re-taken and both president Aslan Maskhadov and the separatist leader Shamil Basayev were eliminated. However, the conflict dragged on in more remote and mountainous regions, crossed the border and spread into the Caucasus at large by 2007 while war officially ceased in Chechnya in 2009. In 1997, Igor Sergeyev was appointed Minister of Defence and based on the experience of the first Chechen war, began a plan or reorganization and modernization of the Russian Ground Forces. Some military educational establishments were shut and other improved, the Siberian and Trans-Baikal Military Districts were fused together, and some divisions were given a “constant readiness” status, supposed to give them at least 80% personal strength and 100% matériel strength. Eventually, in 1998, six divisions and four brigades were maintained in a permanent alert state as well as a gradation established, of constant readiness, low-level, and strategic reserves. As a political measure to decrease the ground Forces influence, its headquarters were disbanded in 1997. With the arrival of Vladimir Putin at the presidency, a new wave of reforms took place starting in 2007: The ground forces headquarters were re-established, and the ground forces, in general, were massively re-funded at large, starting in 2009: From 141 billion rubles in 2000 it was raised to 219 billion rubles in 2001. Plans for a new MBT immediately were given favor and top priority again. The mandatory service was reduced to 18 months, but the army retained its mix composition of professional contract soldiers and conscripts. Conscript service two years later was reduced to a year. Funding also served to trained new sergeants and a large part was also devoted to R&D. The most striking result of this by 2014 was the production of the Armata tanks family, certainly more advanced than the previous Black Eagle program. Contracted soldiers and officers received significantly higher wages. The “Black Eagle” early roots program started in the late 1980s in Leningrad Kirov Plant (LKZ) as stretched-out and modified T-80U. However, when the bureau was closed, blueprints and studies were passed onto the KBTM in Omsk. Eventually, it reappeared in 1997 at the VTTV arms exposition in Omsk, but far away from the public and apparently fitted with a mockup turret (according to Wikipedia) and partly camouflaged by nettings. It appeared a second time in 1999 in another exhibition in Siberia, this time with a massive turret sporting a new front armored extension, turret and hull Kaktus ERA and in the future Drozd/Arena active systems for protection. The turret ended with a rear boxy turret bustle for the ammunition, presumably with blow-off panels. The hull was elongated and has a seventh pair of roadwheels. A 152 mm in the alternative to the 125 mm smoothbore 2A46 gun was also envisioned. Presumed schematics of the Black Eagle. Moreover, the Black Eagle was propelled by the most powerful powerplant combination so far, the GTD-1400 gas turbine giving 1400 hp (1030/1040 kW). Top speed was around 68-70kph with a favorable 27 hp/t power to weight ratio fo 48 tons estimated. “Black Eagle” was a codename as an attempt to “marketing” it more easily. After its cancellation in 2001, Omsk Transmash has gone bankrupt. The T-95, however, is another foggy program apparently started in 2008 (although according to Vasily Fofanov it might have started back in the 1990s as the “Object 195”), this time at Uralvagonzavod. It was also announced by the Russian Minister of Defense Igor Sergeyev in 2000. It was to be fitted with a brand new turret, presumably remote-controlled, housing a massive 152 mm 2A83 smoothbore gun and coaxial 30 mm gun. It was to be propelled by a massive powerplant, the 12N360 X diesel engine which developed A-85-3, 1650 h.p., enough to cope with the 55 tons of the tank. Like the Black Eagle it was given seven pairs of road wheels, and presumably was equipped with new active hydropneumatic suspensions shared by the T-80. 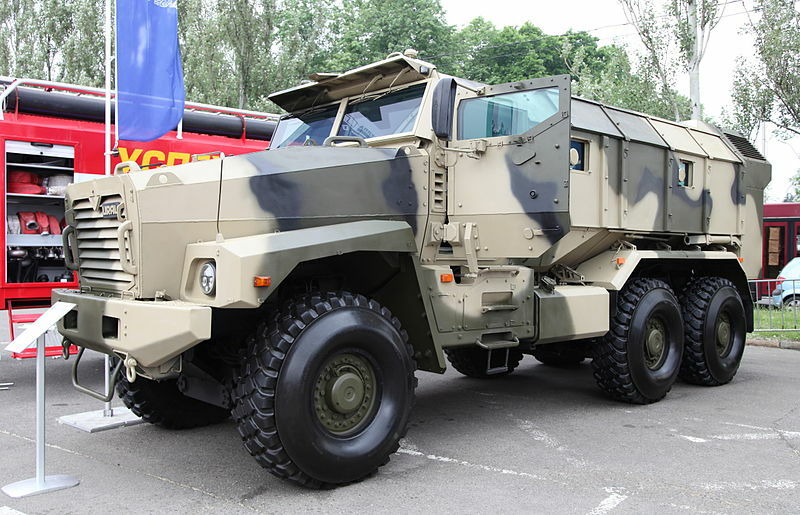 However in 2010 again, it was announced to be shown at the Russian Defence Expo 2010 in Nizhny Tagil, but later in May, the program was canceled by Vladimir Popovkin, the new minister of defense, as it was chosen to concentrate of modernizing the T-90 fleet and unveil a brand new 4th gen MBT program in 2011 (which turned to be the Armata, entering service in 2014). When appointed as defense minister in 2007, Anatoliy Serdukov started another stray of reforms aimed at converting all divisions into brigades, on a plan until 2016. 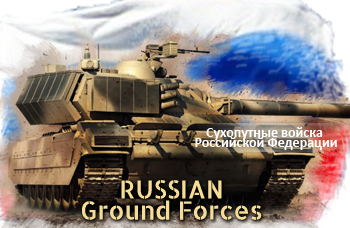 Nowadays the ground forces represent 285,000 personnel total (2014), including 80,000 conscripts. These numbers alone illustrate the radical change from a massive conscript army to a reduced professional army, still backed by conscripts, about 2/8 of the total. A controversial and still fresh matter is the ongoing war in Ukraine, which erupted following bursts of separatism (support and endorsed by Moskow) and refusal of the Ukrainian authority in some localized areas, the Donbass (Southeast of Ukraine, near Rostov-on-Don), and especially Crimea, for long the siege of the Russian fleet. Due to the nature of the war, Ukrainian forces are confronted with well-armed militias, and fights are sporadic and of relatively small scale (for now). Great tanks battles never occurred and most of the time, MBTs are used on both sides for infantry support, patrol, or as fixed deterrents. Tanks assaults by rebels are relatively rare, for now, and the Ukrainians have the numeric advantage. Ironically both sides used similar tanks, like the aging T-64. Despite the war in Ukraine, which for the moment did not take any significant, nor official toll on the Russian Army (President Putin declarations made clear only “volunteers” departed to help the separatists, the Russian army today is much better prepared for a larger war as it occurred in Chechnya. Lessons were learned to the full, reorganization both of the industrial sector and suppliers as a whole and successive reforms with the officer corps, and eventually, training definitively broke with the old tradition of a conscript army and geared towards a small-scale professional army. Tanks, of course, are part of the deep modification of the Army, starting with new models (like the Armata) and a concentrated, well-funded upgrade program. Side by side, the future face of the Russian Armour (less the Armata): T15 HIFV (Heavy IFV), Kurganetz-25 APC and Bumerang wheeled APC (which must replace the BTR series), and the 2S35 Koalitsiya-SV future self-propelled howitzer. 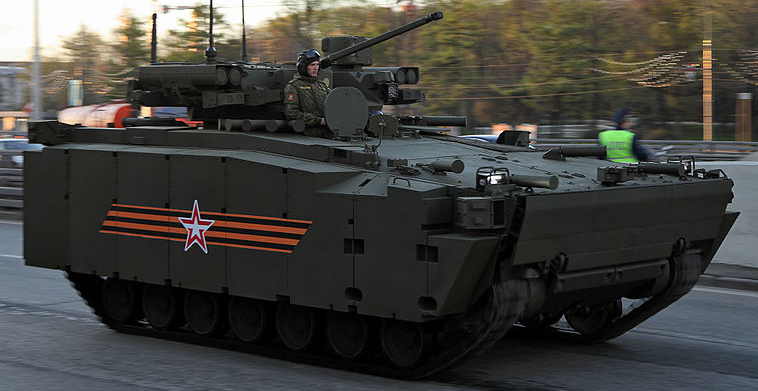 T-14 Armata The latest, 5th generation Russian main battle tanks, accepted in service in 2014, after a long development. A radical departure from previous designs, it is also the crowning jewel of a family of IFVs, APCs and specialized vehicles. Its most prominent figure is an unmanned turret and the crew inside the hull’s safety capsule. 2,300 are expected and were ordered, at around $11.55 million apiece (as of nov. 2015). T-90 (1992) This 3/4th generation main battle tank was derived from the T-72BU. So far 2,260 were built and but, however about only 500 are currently in service. T-80 (1976) This first Soviet turbine tank, an elite main battle tank and successor of the T-64 is also in service, but in dwindling numbers, although 5,400 had been cranked up in total. 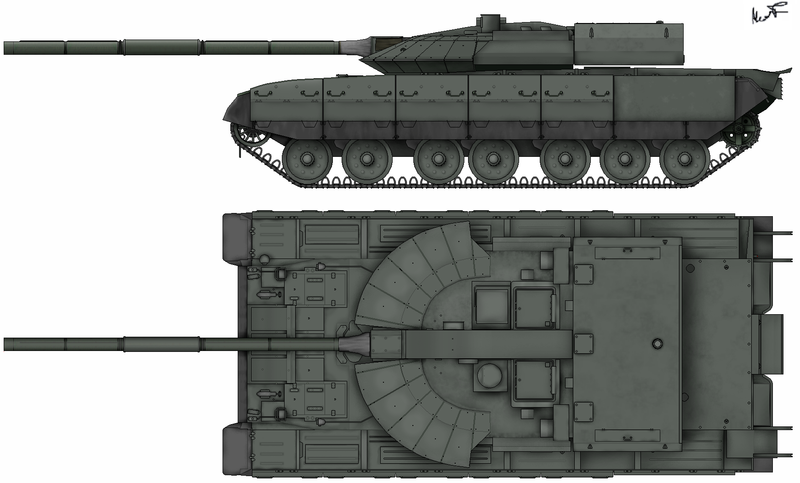 In 1985 the T-80U (illustration) appeared, much upgraded. Since the split with Ukraine, the latter had produced the T-80D and is pursuing an active upgrade program. Ukraine had 271 of these in 2005. But as of 2008 in Russia, there were less than 3,000 in active service and 1,456 in storage. 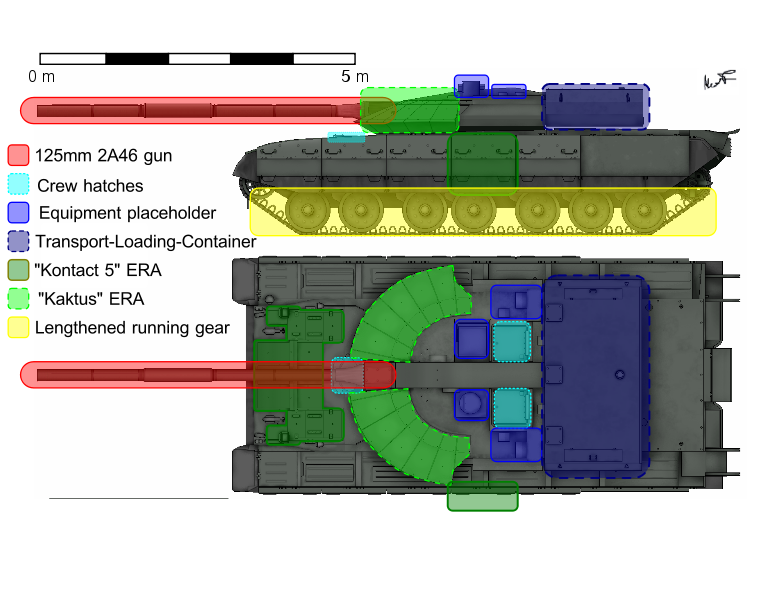 With the gradual introduction of the Armata, this figure will dramatically change. Nowadays, perhaps 400 T-80U’s, T-80UD’s, and T-80UE1 remains in full active service. T-72 (1972) The famous Soviet 2nd generation MBT was produced to an extent that rivaled the old T-54/55 and spawned dozens of versions and local variants worldwide. 7000+ are in storage today, 1700 of the latest upgraded B versions were registered in service and 1,300 are T-72B/BA while 400 have been upgraded to the B3 standard, nowadays around 750 in service. BMP series The world’s famous IFV was mass-produced by USSR and is the most current worldwide still today. More than 20,000 BPM-1s (1965) were built so far, only 500 are in active service while 7000 remains in storage. The same can be said for the BMP-2, with 1,800 active and 6,500 in reserve. However the more recent BMP-3 (1987), whole effective (616) is entirely active. Pending replacement by the new heavy BTR-T derived from the T-55. T-15 Armata The latest Russian IFV (Infantry Fighting Vehicle), based on the chassis of the T-14 and part of the hull and powerplant. It should be classed as a heavy IFV to modern standards, especially compared to the BMP family, although the armament is less impressive, it shares the same modular remote weapons station also used on the Kurganetz and Bumerang. This 48 tons IFV capable of carrying nine equipped infantry at 70 km/h on flat is much better protected than the previous BMP-2 (and MT-LB) it replaces with modular armor blocks, made of steel and ceramic composites and able to withstand the equivalent of 1,200–1,400 mm vs HEAT. In alternative to the regular 30 mm, the weapons station can receive a 57mm BM-57 autocannon and it carries in complement the 9M120-1 Ataka ATGM. Kurganetz-25 The new Russian medium IFV. Revealed also in the 2015 parade, this is the true response to the last generation American Bradley and Western tracks IFVs such as the British Ajax and German Puma; At 25 tons it is half the weight of the Armata, yet, extremely well protected by composites and ceramic modular panels. The platform is extremely modular, able to be declined into an APC and ARV as well. 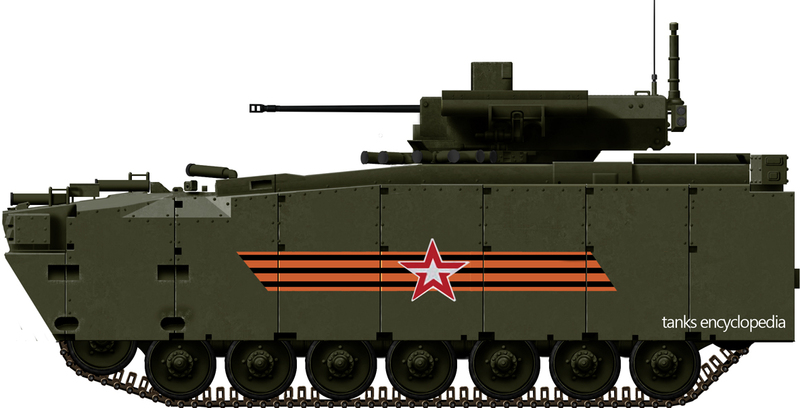 Produced at Kurganmashzavod it is scheduled to replace all Soviet-era BMP and BTR as well as the ubiquitous MT-LB. It can carry eight troops, and speed up to 80 km/h (32 hp/tonne), and is fully amphibious. BTR-90 Is the last mass-built 8×8 APC of the BTR series, with a first prototype made by 1994 so it leaved the Cold War section to land here. It is replaced gradually by the VK-7829 Bumerang. But still, a major step forward in terms of armament as it is basically an adaptation of the BMP-2 turret on a 8×8 hull which is derived from the BTR-80. Production spanned a few years, 2004-2010 and has been derived into the BTR-90M but so far the ministry of defence never ordered it. VK 7829 Bumerang The latest Russian APC, currently in production for the Russian Army. 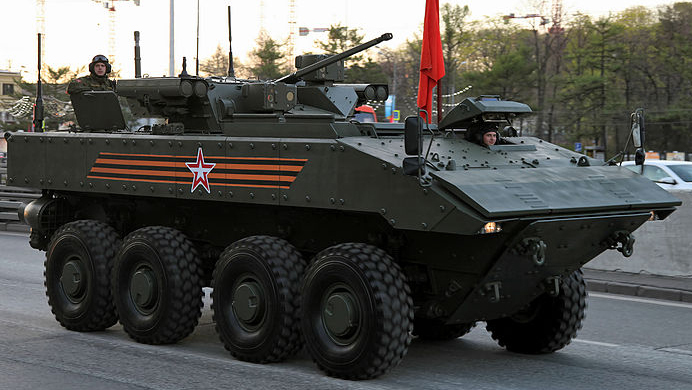 Dubbed the “Russian stryker” because of the commonality and modularity behind the concept and revealed during the 2015 May parade; like many of these new generation Russian armored vehicles and the Armata. 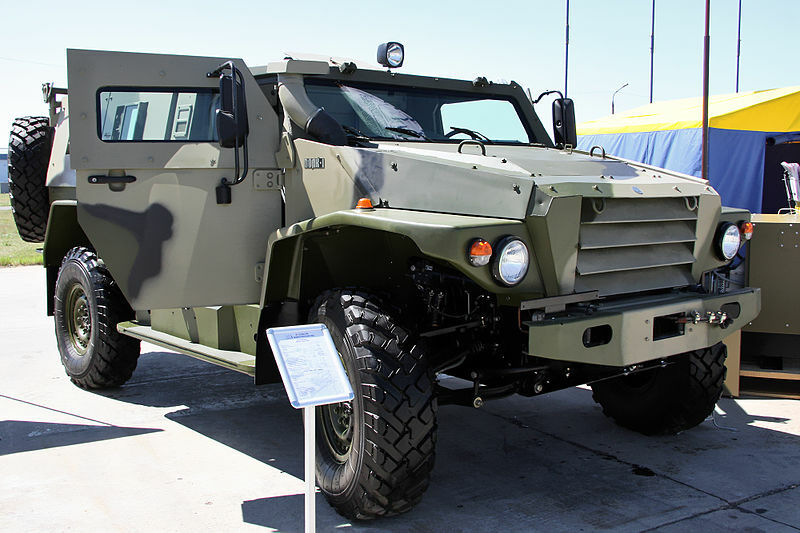 Designed by the Military Industrial Company LLC (VPK) and manufactured by Arzamas Machine-Building Plant its is notably cheaper than the BTR-90, while the BTR-82 served as a stopgap before its introduction. 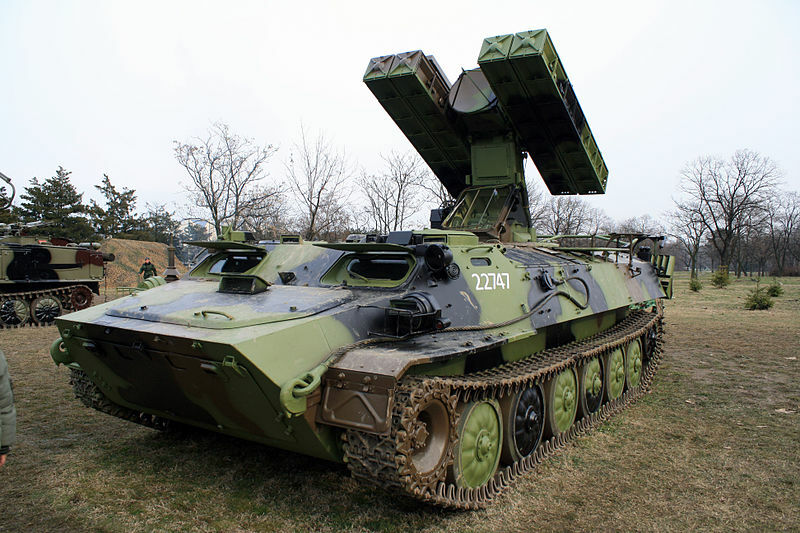 At 25 tons it is way heavier and taller than the BTR-80 (13.6 tons), an increase which is coherent with the new 2000s generation of massive 8×8 APCs worldwide.It is also twice as powerful and much faster at 100 kph. The remotely operated turret (30 mm automatic cannon 2A42, 9M133 Kornet-EM AT missiles) is also used by the Kurganetz and T-15 Armata IFVs. BRDM-2 The BRDM-1 (1956) has been long all scrapped or sold, but still around 1,000 BRDM-2 (1962) are in active service, 1,200 in reserve (over 7,000 built), counting all its variants. MT-LB This unarmed but around 1,400 of this versatile tracked APC/carrier is maintained in service (5,000 reserve). 2S34 Chosta This self propelled howitzer from 1990 derived from the more famous 2S1 Gvozdika (1972) was only produced to 30 vehicles. However, 600 2S1, 930 2S3 Akatsiya, 25 2S4 Tyulpan, 230 2S5 Giatsint-S, 12 2S7 Pion, 470 2S19 Msta-S, and 50 2S23 Nona-SVK are in service. Many are also in reserve (2,600 2S1/2S3 and others). In addition, 1,400 rocket-launcher vehicles of various types are also maintained in service, all of the Soviet era. The heaviest is the tactical ballitic missiles launching vehicles as the OTR-21 Tochka-U/SS-21 (90) and 9K720 Iskander-M/SS-26 (64). 9K35M3 Strela-10M3 350 of this short-range SPAAML are in service alongside 280 9K33 Osa, and 170 9K331M Tor-M1. 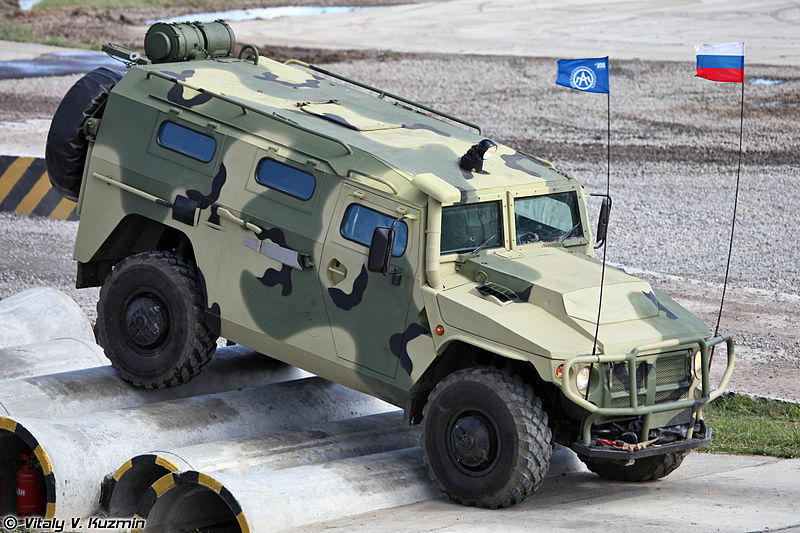 Medium range SAM carrier vehicles are the 9K37M1 Buk (340), and long range, the S-300V Antey-300 (180). They are completed by 200 9K22 Tunguska SPAAGs derived from the most famous ZSU-23-4. All these vehicles are from the soviet era too. T-72 (1972) The famous Soviet 2th generation MBT was produced to an extent that rivaled the old T-54/55 and spawned dozens of versions and local variants worldwide. 7000+ are in storage today, 1700 of the latest upgraded B versions were registered in service and 1,300 are T-72B/BA while 400 have been upgraded as the B3 standard, nowadays around 750 in service. Will there ever be a article on the T-14 armata? In the future, most assuredly. Will there be a article on the T-14? For sure. It’s such a revolutionary design, it deserves it. It really does deserve it, so does the japanese Type 10. This is great stuff for Cavalry Scout vehicle ID classes!!!! Awesome page! Btw not to be a grammar-nazi but isn’t Chechnya spelled with an ‘y’?